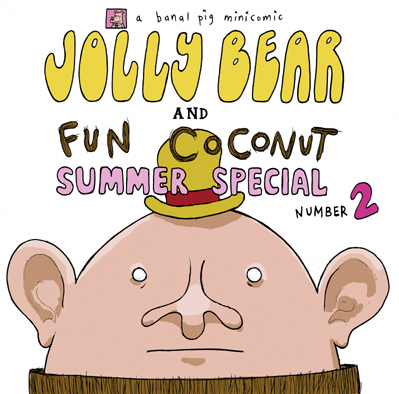 Jolly Bear and Fun Coconut Summer Special number 2 features the continuing adventures of our chums, again featuring a rhyming tale by Gareth Brookes. In the issue, Jolly Bear buys Fun Coconut a video of “Showgirls” to try and ween him off “Basic Instinct”, and then goes missing. 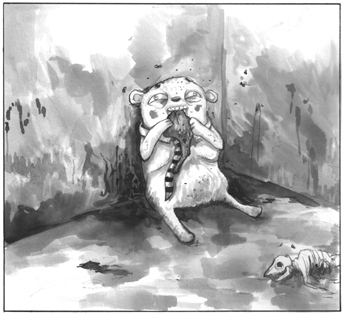 He eventually returns to tell his harrowing tale of abuse and hardship. Ha Ha! 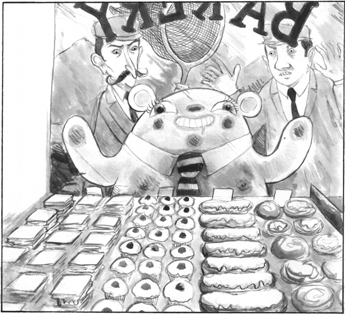 Pingback: the banal pig » jolly bear and fun coconut summer special 1 online!